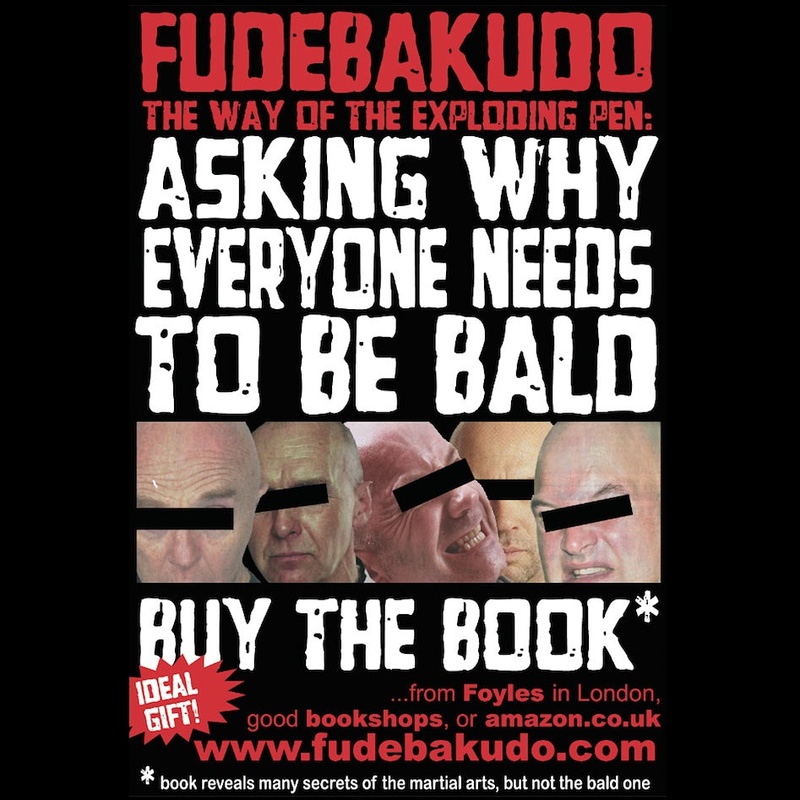 For a few years, from 2007, Fudebakudo somehow appeared regularly in the UK’s “Martial Arts Illustrated” magazine (really it was thanks to a smart and subversive non-editorial member of their staff). As well as illustrations from the book, I did eleven new ones specifically for MAI: (you can find them on www.fudebakudo.com/mai). Each year I’d put an advert into their Christmas issue to encourage their readers to buy the book. This was the one which they politely refused to run. Obviously the photos were from the previous couple of issues, although as you can see I had taken the trouble to anonymise them to spare the individuals concerned any embarrassment. In the end, having discovered how sensitive MAI’s contributors were, I ran an advert with a photo of a kitten instead.